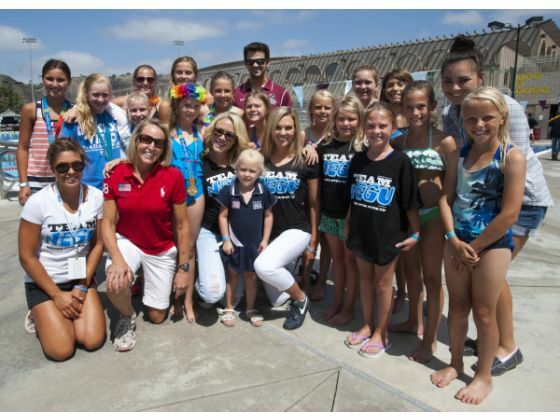 The event June 15 included swim relays, face painting, games, music, food and a chance to meet pro athletes like U.S. Olympic swimmers Kaitlin Sandeno and Chloe Sutton. Funds raised during the event benefit the Never Ever Give Up Foundation, which was started by Rancho Santa Margarita’s Jessie Rees, who died at age 12 of brain cancer. To view the photo album from the event click Joy Splash.